You may be wondering why I have been posting some old photos of my travels recently. I haven’t really been traveling much since 2014 and posting these throwback travels is one way to keep me sane the passion for travel flowing while I am not traveling :( This post will also serve as a reminder of how beautiful Bohol is, I guess I need to take a trip back there again and observe how it has changed, hoping there have been good developments done by the government ever since the 7.2-magnitude earthquake that hit the province last 2013. This trip to Bohol was really memorable for me because it was a first for many things: first time to be on a trip with a big group, first time to be really scared during plane check in and boarding (I am not telling the funny story behind this but my companions should know why hehe) and first time to try some death-defying activities. 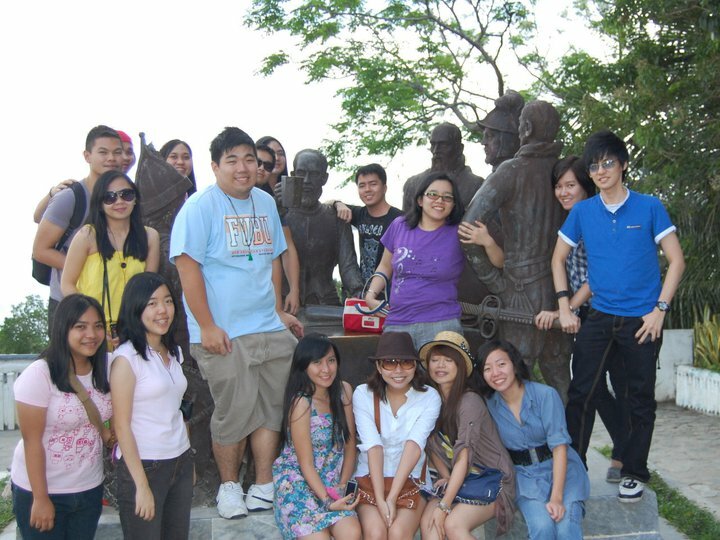 The planning for this two-day trip was CRAZY and come to think of it, this trip was supposed to be about Cebu! If I remember correctly there were 17 of us and everyone wanted to do different things. Good thing the guy in charge of our itinerary was super meticulous and he was able to devise a plan that will satisfy everyone's craving for an awesome adventure. Huge credits to my friends/previous officemates for these pictures. I didn’t have a camera yet at that time so I borrowed some of their pictures. As mentioned earlier, the flights we have booked arrive and leave at Cebu, thus we needed to take a round trip transfer via ferry and costs 800 pesos both ways. As soon as we reached the Bohol port, we were picked up by our rented van, because it’s more comfortable and less hassle to travel via car or van if you’re with a big group. 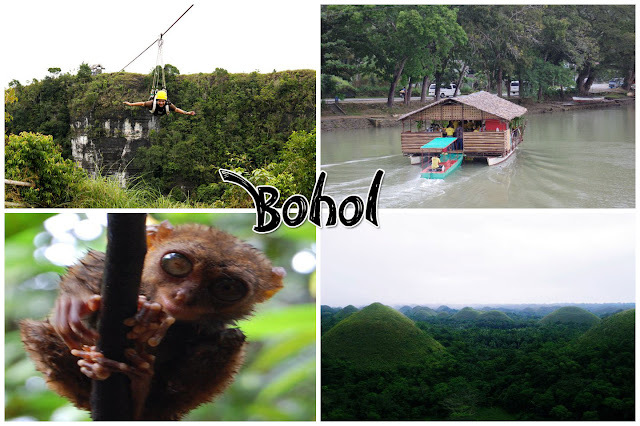 Our initial agenda that morning was to see some of Bohol’s prized historical sites. First off was The Blood Compact Shrine that commemorates the Sandugo or pact of blood between the chieftain of Bohol, Datu Sikatuna and the Spanish voyager, Miguel Lopez de Legazpi. This tribal tradition signifies the friendship between these two men and is said to be the first treaty of alliance between the Filipino and Spaniards. The sculpture was completed by National Artist Napoleon Abueva, who is also a proud Boholano himself. 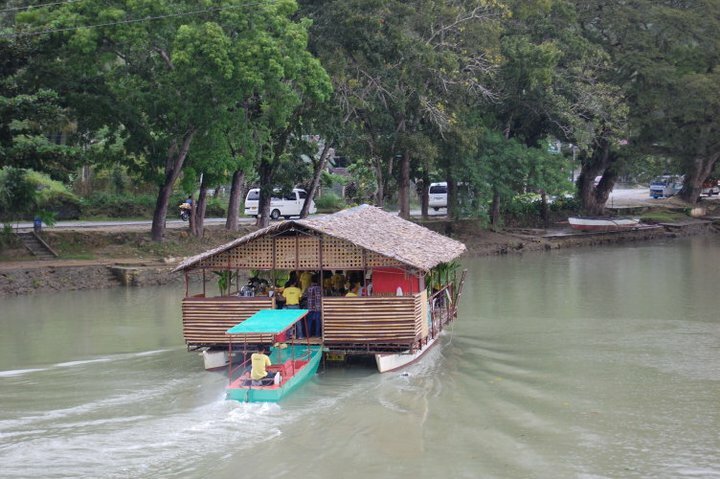 One of the many popular activities that can be accomplished in Bohol is The Loboc River Cruise. 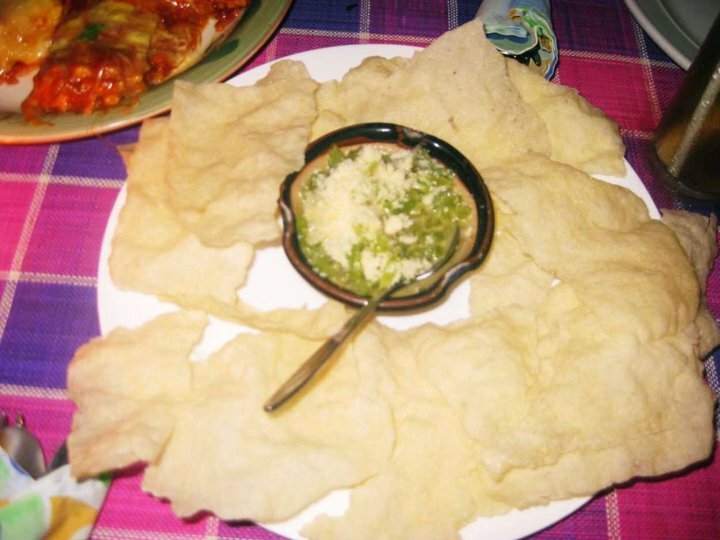 The cruise runs on a schedule and you need to wait for an available floating restaurant before you can get onboard. 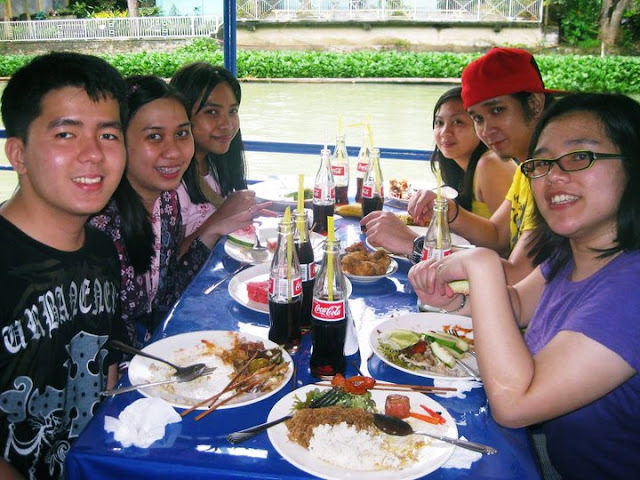 The food is your usual Filipino cuisine buffet, I remember seeing vegetable salad, fruits, pancit bihon, fried chicken and pork barbeque. 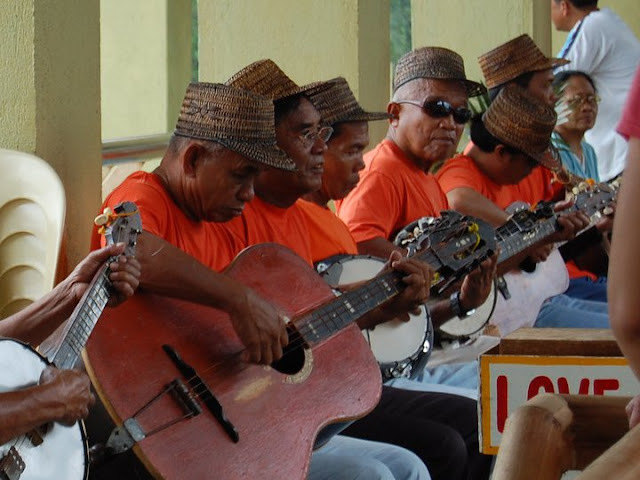 While on the cruise, be prepared to be serenaded with local Boholano songs and enjoy the performance by folk dancers that will surely put smile on everyone's faces. We were supposed to go to Baclayon Church afterwards but due to heavy downpour, our group decided to cancel and proceed to our next destination instead, hoping the rain would stop before we arrive. I felt really bad because I was not able to see this beautiful structure before it was almost destroyed by the 2013 earthquake in Bohol. According to the news, the ruins still stands and the local government as well as church devotees are working together to rebuild it. The church of Immaculada Concepcion of Baclayon is said to be one of the oldest in the country and even features an underground museum, I wonder if it is still accessible. After our heavy lunch, we headed to The Tarsier Conservation Area, what else, to see those cute little tarsiers! These animals are very frail but they are just sooo adorable. 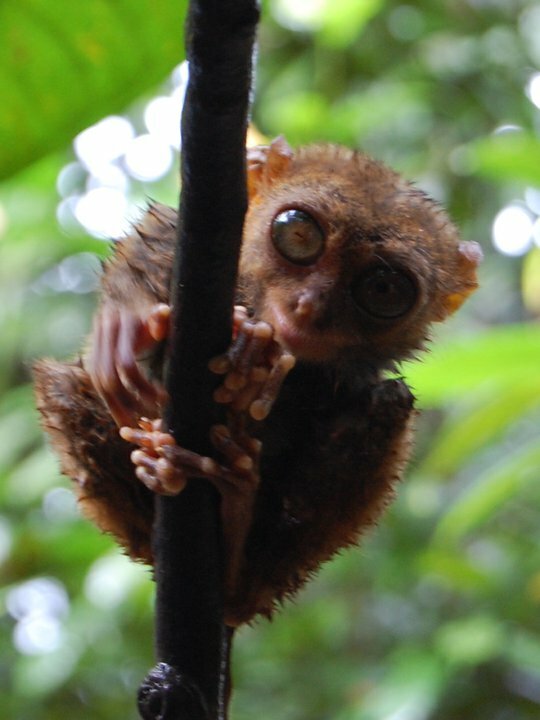 However after hearing what these tarsiers might do when stressed, like for example, commit suicide (! ), I was the one who actually got nervous to be around them and just appreciate them from a distance. These tiny endangered animals that are just about a size of a human fist can be very sensitive to light so don’t enable your flashes when taking pictures and better yet avoid creating loud noises. The last tourist spot we visited for our first day is none other than the most famous icon of the province, The Chocolate Hills. I have read that the view deck was also ruined because of the earthquake, but tourists can still go up and see these cone-shaped hills that are about 1,200 in number. Wow! Geologists are still baffled with how these formations came to arise. One more fun fact is that they also change in color! It’s brown during dry season and turns green during the rainy season. 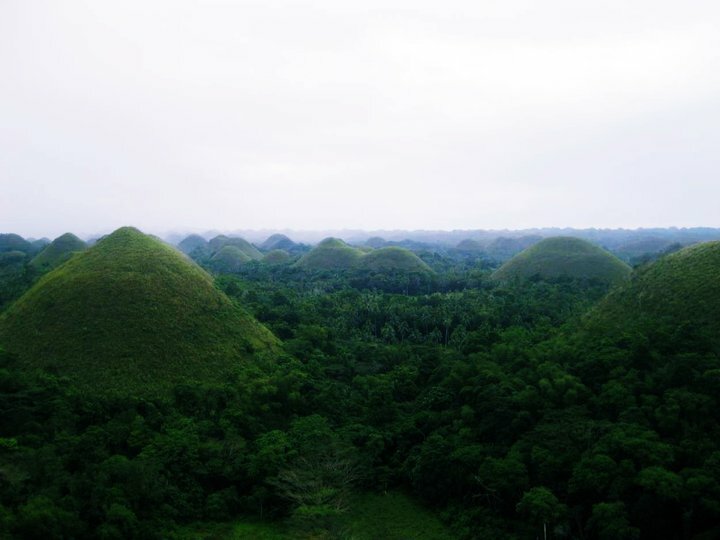 The beauty of The Chocolate Hills is undeniably breathtaking. It is just beautiful beyond words. I guess that was also the first time I realized that my country indeed has tons of natural treasures that I have yet to explore. 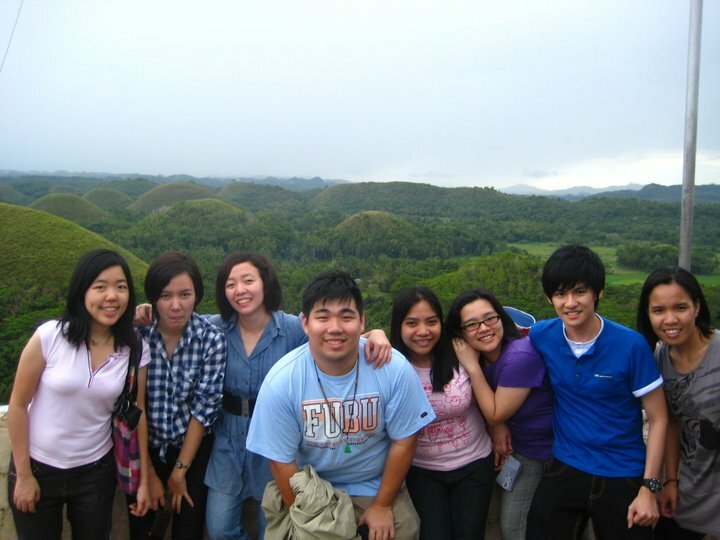 Seeing and thinking about The Chocolate Hills made us all hungry. We made a long detour for Bohol Bee Farm, a famous private resort known for their organic farm. However, we did not come there to buy root crops or vegetables, but for their ice cream and healthy buffet. As soon as we arrived, each of us got excited and sampled some of their unique ice creams wherein we got to try exotic flavors such as malunggay and ginger, they also have your standard ice cream flavors such as mango. Since we were all famished and we still had to wait for the buffet to be prepared, we had dessert first before real food. Haha. I couldn’t really remember why but I know I really really enjoyed the buffet here (maybe everything tasted good because I was really hungry at that time? ), I am even thinking of going back to Bohol just for the food. 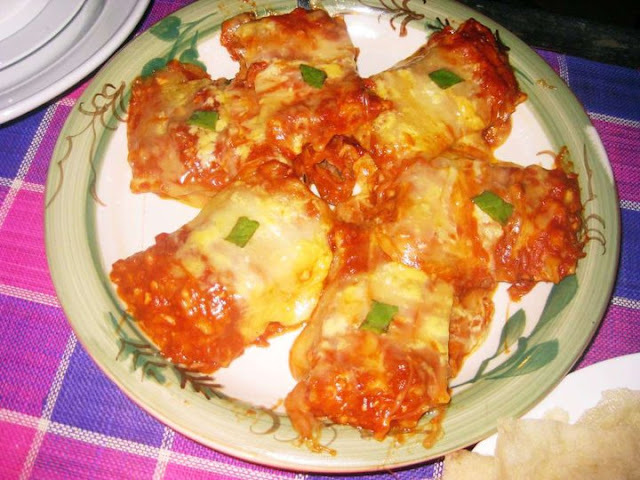 If you have been there, let me know if you yourself liked their dishes. 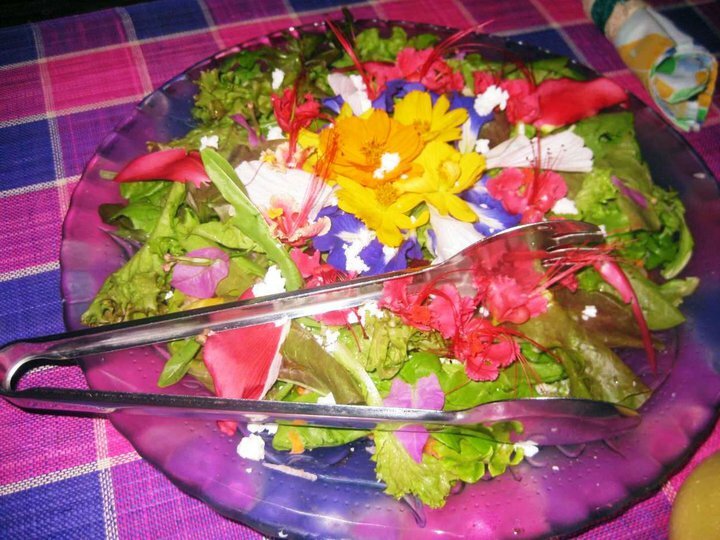 What I did appreciate about the food though is that everything is all healthy and organic, made me think less guilty about having seconds. 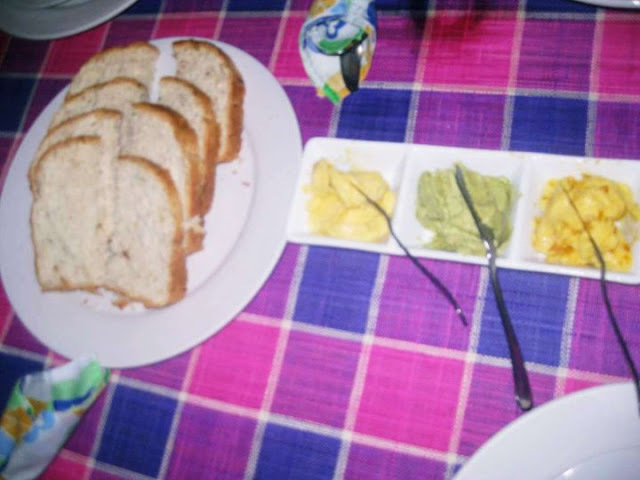 The menu consisted of camote bread with different spreads, cancan with pesto and green tomato, organic salad with honey mustard dressing, organic red rice with camote, honey glazed chicken, spare ribs, seafood lasagna and lemongrass juice. 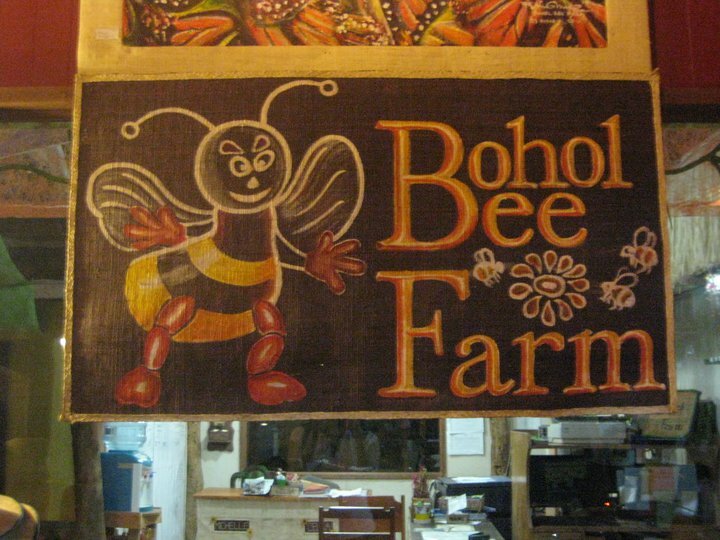 And if you have read through my food posts before, you must know that I get excited with buffet-style food so of course, I got my money’s worth at Bohol Bee Farm. Our group was split for our second day of the trip, the first group went to Cebu for their island-hopping and we stayed at Bohol for some “extreme” activities. I had no idea where we were headed for but I know it was far away from Tagbilaran, our van even had encountered difficulties on the way due to the rough terrain. 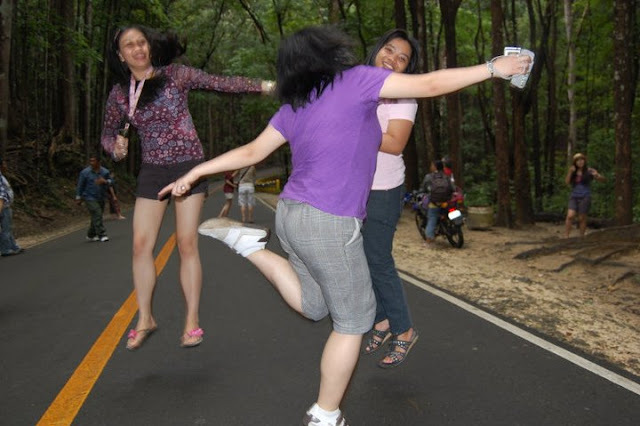 I was later told that we are going to Danao Adventure Park, or also known as E.A.T. 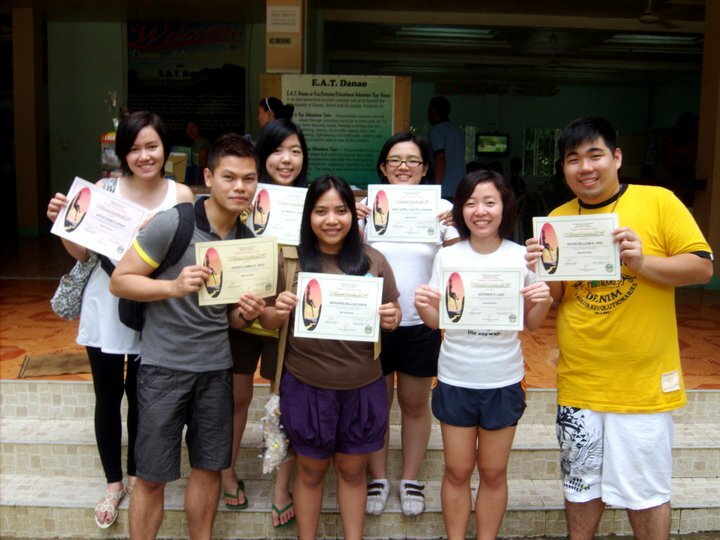 Danao, E for Extreme or Educational, A for Adventure and T for Tour. The park offers different exhilarating activities that can be enjoyed solo or with a group, rappelling, zipline, and kayaking to name a few. As much as I would have wanted to try everything (atapang a tao? haha), I only picked two activities due to my limited budget, some of my officemates also tried rappelling. We tried the zipline first since it looks "easier" compared to the other activity we picked (which I will reveal later). I have to admit, I got a bit nervous, no matter how much I tell my friends that I wasn’t scared, it will be my first zipline ever and I did not know how to proceed when something unthinkable happens. But I just sighed, told myself I could do it, I have no choice because everybody is doing it! I need to prove to everyone that I can face this challenge. We moved off to our next activity, and looking at it, it seemed like the craziest idea . 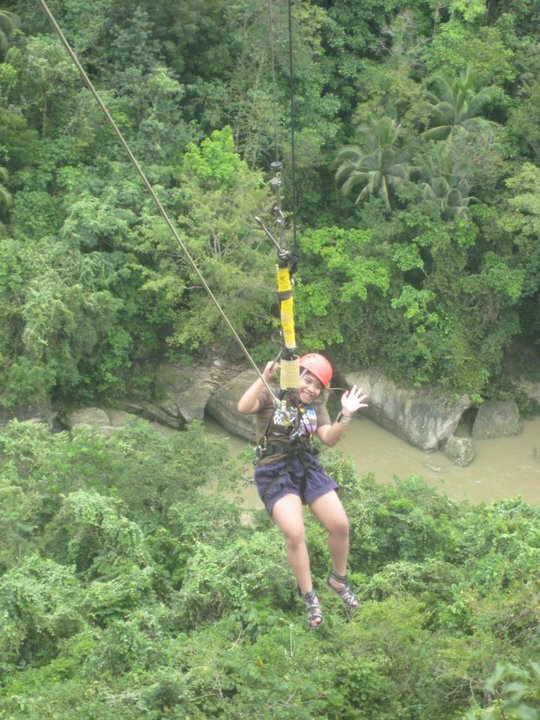 The harness that hugs the body does not look secure enough compare to what we had during the zipline. Everybody seemed excited to try, deep inside, I wasn’t. I just wanted to get over it and go home. But there was no backing out, I guess I felt succumbed to peer pressure again because everybody will be doing it! 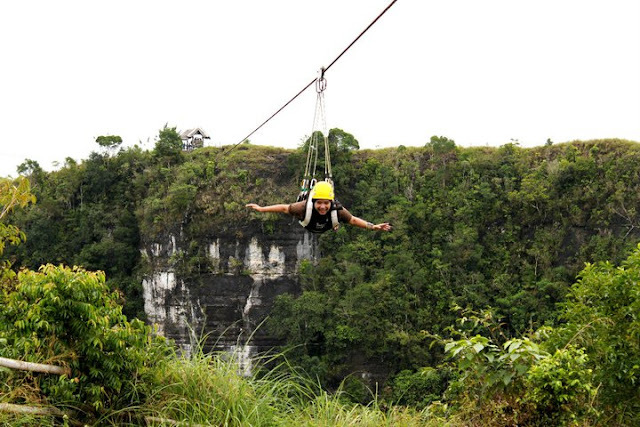 Anyway, what we did was called The Plunge, as per eatdanao.com’s website it is a canyon swing adventure attraction mounted over a 200-meter-high and 300-meter-wide gorge. A person would have a 45-meter-free-fall before being launched on a pendulum swing measuring to a hundred meter diameter. I did not know what came to me but I volunteered to be the second to do The Plunge. I even asked what is the more exciting way to do it and the guides recommended doing it ‘backward’ style, with my back against Wahig River. I also kept on asking them what happens if in case the strap loosens and I fall, does my family get insurance coverage, but no answer. #Paranoid. With the reassuring cheers from my friends and a silent prayer, I got ready. The staff was explaining some safety precautions but my mind was already blank and I couldn’t comprehend anything even if it was in Tagalog. I lay in the metal support for seconds, minutes, waiting for the swing to happen, but nothing. My heart beats like a drum roll. After a minute or so, I finally heard them shout ‘Bomb’s Away’ and woooosh, I felt my senses tingling and the cold air hitting my face. It is finally happening!!!! And you know what, I actually enjoyed it. The feeling was similar to being in a duyan, being rocked back and forth, but the main difference is only a small mishap and instant death! It was surreal. 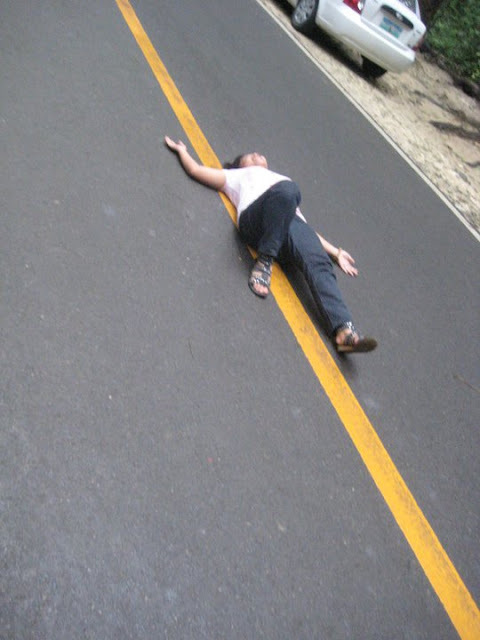 I never thought that I could even do such a death-defying activity but I was able to conquer my fear. I was able to let it all out with a scream but afterwards, the view and the experience made it all so worth it. 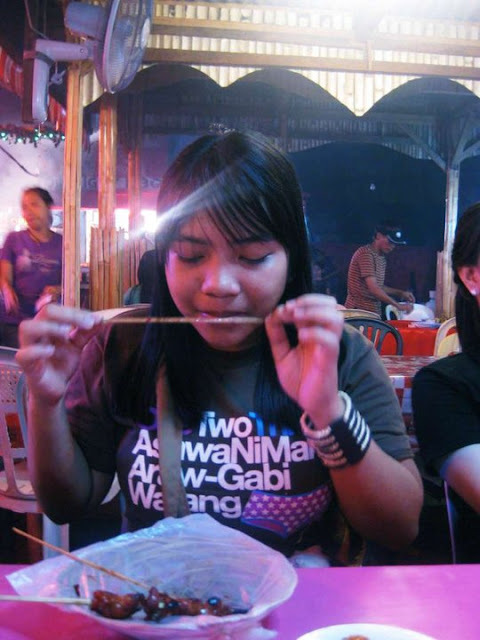 I would have done it again in a heartbeat if not for the pricey 750 pesos hit in my wallet. We ended this quick escape from work with pasalubong shopping at Tagbilaran and Cebu. 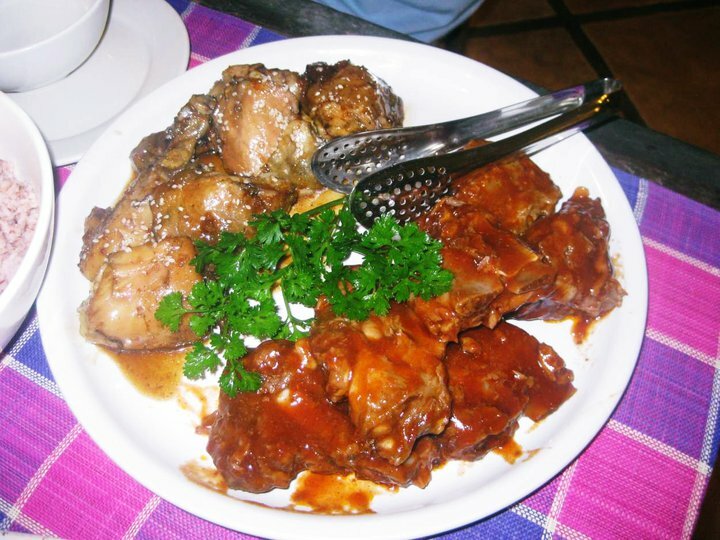 We also tried out some local hang-outs in Cebu such as visiting Larsiar for barbeque, and La Marea Cafe to satisfy sweet tooths and topping the whole experience with the romantic night view of Cebu at Tops Lookout. This weekend trip to Bohol was planned carefully by two of my officemates, and thanks to them, I never had to worry about making the itinerary, I only need to show up and give them my contribution! The best thing about group travel for me is being to see all these wonderful sights and sharing great stories and laughs with family or friends. Bohol really had some extraordinary sights, interesting history, good food and very hospitable people and I hope tourism will thrive again in the next coming years for this wonderful province.